A LOVE rat sailor was caught out after a complete stranger sent his girlfriend video evidence of his cheating. 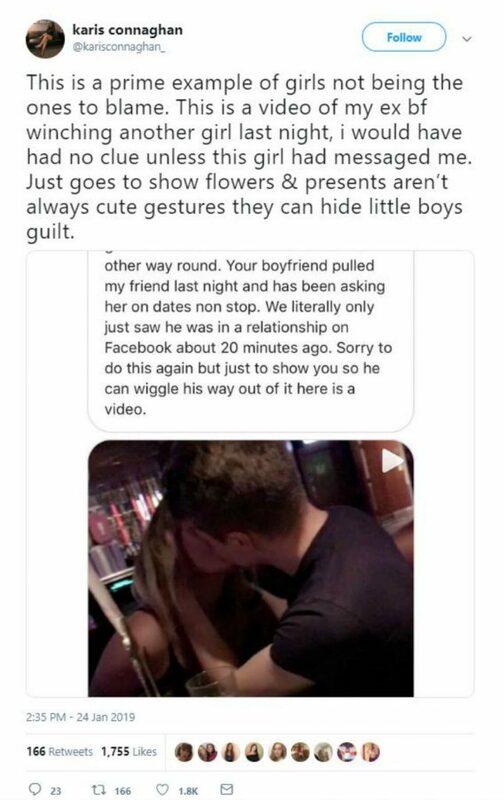 Karis Connaghan was stunned to receive the clip out of the blue showing her “Royal Navy” boyfriend kissing another woman in a bar. The clip was sent to Karis by a total stranger, known only as Bette, who happened to be friends with the girl being kissed in the clip. 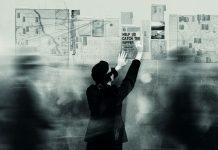 When Bette checked out the mystery man who had been pursuing her pal she discovered on social media he was in a relationship with Karis, from Gourock, Inverclyde. After receiving the video evidence, Karis took to social media to share the heart-breaking discovery, including the fact her cheating ex had just sent “flowers and presents”. She wrote: “This is a prime example of girls not being the ones to blame. “This is a video of my ex bf winching another girl last night. “I would have had no clue unless this girl had messaged me. Karis also shared the apologetic message she received from Bette, who is believed to live near Portsmouth, one of the Royal Navy’s main bases. It said: “Hey, I’m really sorry to do this, but I’m a girls’ girl and I’d want to know if it was the other way round. “Your boyfriend pulled my friend last night and has been asking her on dates non stop. We literally only just saw he was in a relationship on Facebook about 20 minutes ago. A screenshot of the message shows a man kissing a blonde girl. Karis’s tweet has racked up more than 4,000 likes and nearly 400 retweets. Bethany Thomas, who appeared to have also been on the night out, said: “I’m so sorry Karis, [he] seemed like a lovely lad and Ellie was smitten with him. Others were also commenting sympathising with Karis. Karis has since thanked all those who saw the post who sympathised with her over the situation. Karis’s tweet has taken off since she originally posted about the incident. 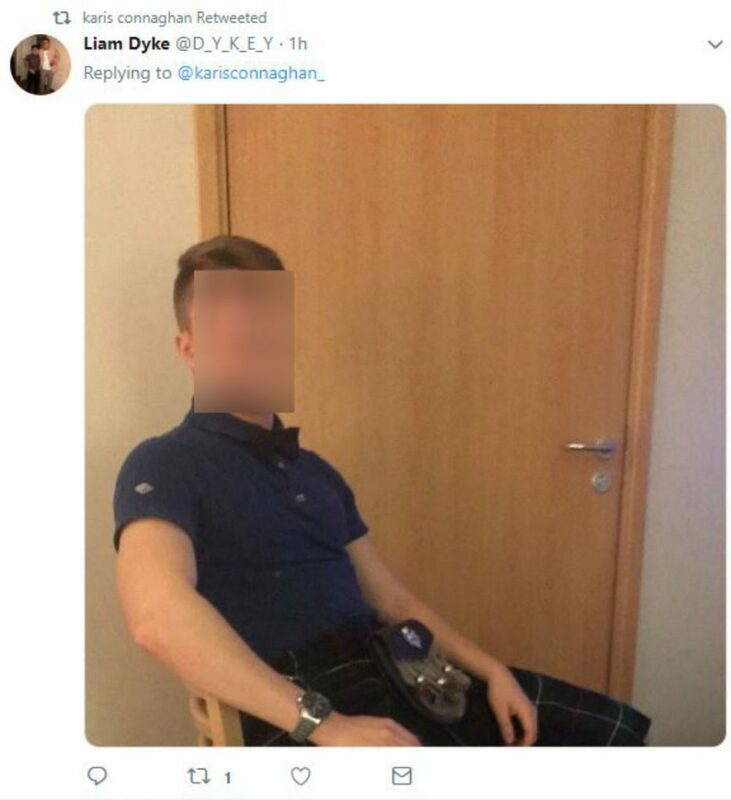 She also retweeted a photo of an unidentified young man wearing a T shirt and kilt. She said: “I was unaware at the time of posting this that it would blow up this much. “I uploaded this so anyone who knew that me and were an item had broken up due to this.